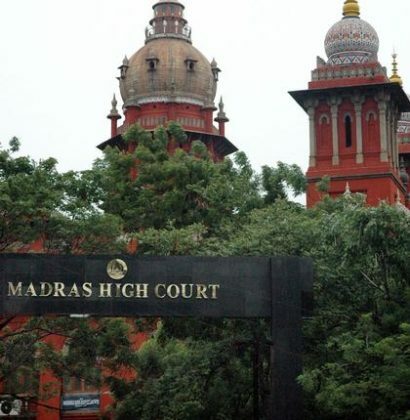 Chennai: The Madras High Court gave a split verdict on a plea for fixing norms for according incentive marks to in-service government doctors for admission to the post-graduate medical courses in Tamil Nadu. While one judge of the bench held the state’s methodology for giving incentive marks to the in-service candidates as ‘not in conflict’ with the MCI’s, the other judge quashed some of the state government norms on the issue terming them as “inconsistent and repugnant” to the MCI 2000 regulations. Justice KK Sasidharan of the bench said the state government’s policy of reserving seats for its in-service doctors and awarding incentive marks to them were not in consonance with the Medical Council of India regulations. He, however, added that the methodology adopted by the state for giving weightage marks to the in-service candidates was not in conflict with the method evolved by the MCI. Observing that the prayer in the petition could be moulded and the government may be asked to sync its admission policy with that of the MCI, Justice Subramanian directed the state government to formulate the procedure for admission process in accordance with the MCI 9 and 9(IV) regulations. Noting that there was no unanimity of views between them, the judges said the matter should be placed before the chief justice for appropriate orders. As per the procedure, the case will now be referred to a third judge, whose view will decide the date of the cases. The bench concurred with the submissions of senior counsel P Wilson, who appeared for various in-service candidates, that the writ petition on which the single judge passed the order, itself was not maintainable when the prospectus and policy adopted by the state had not been challenged. The single judge ought to have dismissed the petition, in which it was directed by the judge to adopt only the MCI regulations in awarding marks “without there being a challenge to the policy adopted by the state and indicated in the prospectus of the state,” the bench said. The vacation bench of judges Sasidharan and Subramanian, specially set up to hear the matter, had earlier reserved its order after hearing arguments on the appeals by in-service candidates challenging a single judge’s ruling on the matter. The bench was set up by Chief Justice Indira Banerjee in view of the urgency of the matter. The appellants had challenged the single judge’s April 17 order upholding the MCI norms that the incentive marks for in-service candidates should be awarded only as per the MCI’s Post Graduate Medical Education Regulations 2000 and not on the basis of the state government’s norms. As per the state norms, all doctors in the government service were eligible for one mark per year of the service with a cap of 10 marks, while those employed in four notified difficult and remote or hilly areas were eligible for two marks per year of the service. But the MCI regulations earmarked 10% of an in-service candidate’s National Eligibility Entrance Test (NEET) PG mark as incentive per year of service with a maximum of 30%. The government had on Tuesday submitted that the award of the incentive marks to the in-service candidates was being made for the past 35 years to encourage doctors to serve people in remote, hilly and difficult areas and was not violative of the MCI norms. If this was withdrawn, it would be difficult to run the government hospitals and primary health centres, it had said. It had submitted that the state prospectus was approved by the MCI and the Central government and they can’t take a U-turn now and say it was not as per the MCI regulations.